Property investment fund manager Clarence Property have successfully acquired a blue chip commercial precinct at 201 Leichhardt Street Spring Hill for $14.272 million. This was the company’s second acquisition inside a month, after purchasing an industrial complex in Northgate for $8.475 million in recent weeks. The acquisitions have brought a total $22.7 million to Clarence Property’s unlisted Westlawn Property Trust portfolio. Clarence Property managing director Peter Fahey said Leichhardt Street was a "good fit" for the group’s portfolio, which comprises an array of A Grade commercial assets throughout South East Queensland. “We see value in the Brisbane market and we anticipate it will continue to strengthen over the coming years,” he said. “As a rule we look for assets that are anchored by quality tenants and provide scope for growth or improvement. Knight Frank managing director Ben McGrath said Clarence Property secured the Spring Hill asset amid significant interest. He said it was partly due to the location and future development upside associated with the revised Spring Hill neighbourhood plan, but also due to the limited opportunities that exist in the sub $20 million Brisbane CBD and near city office market. Fahey said the recent acquisitions were a triumphant return to Queensland’s market. The diversified fund manager sold 307 Queen Street in late 2013 for $120.8 million. 201 Leichhardt Street was sold by Cornerstone Properties, with the deal negotiated by Colliers International in conjunction with Knight Frank. 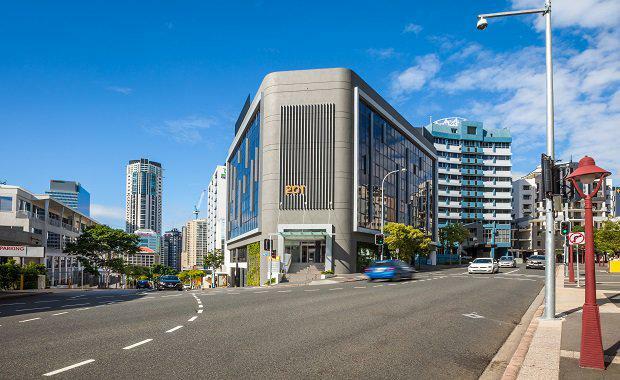 Colliers International's Jason Lynch, who introduced the asset to Clarence Property, said in the midst of an improving leasing market in Brisbane, the net effective rents were anticipated to follow suit. “The 2.6 year WALE in combination with limited CAPEX risk was what made this asset an attractive investment for Clarence Property.